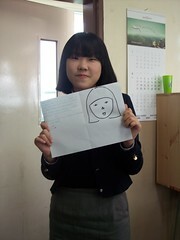 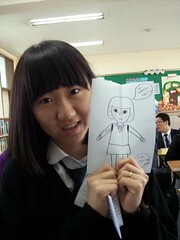 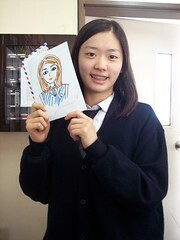 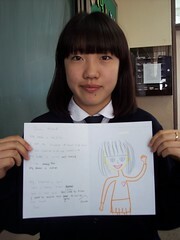 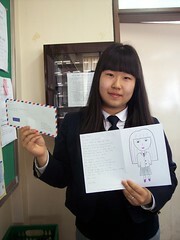 Sapgyo High School's Flat Stanleys · First Batch of Letters Done! 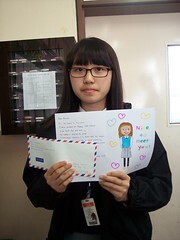 First Batch of Letters Done! 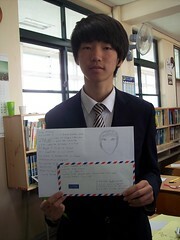 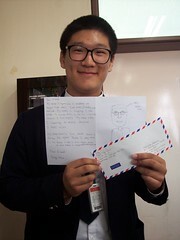 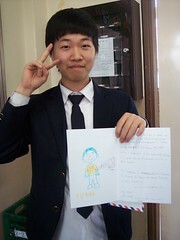 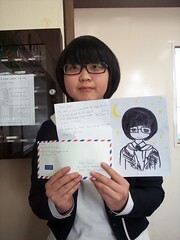 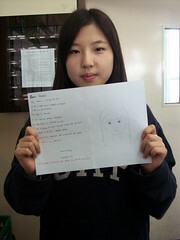 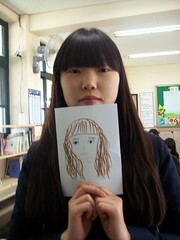 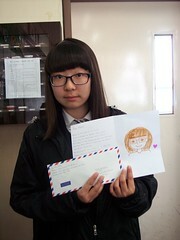 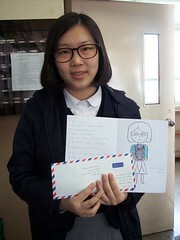 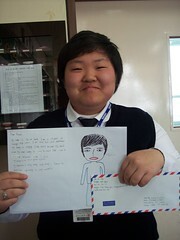 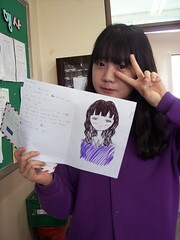 Two classes, Class 2.2 and Class 1.4, are doing this pen pal project. 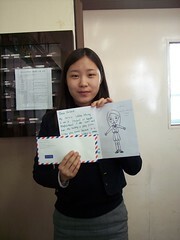 Class 2.2 finished writing their letters and drawing their pictures today, and we will mail them tomorrow! 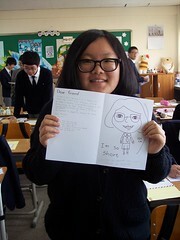 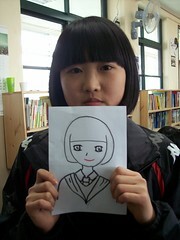 Class 2.2 is a 2nd grade high school (American equivalent = high school junior) co-ed class with 30 students. 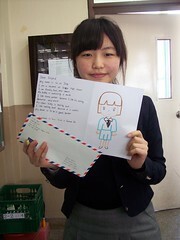 They worked really hard on their letters! 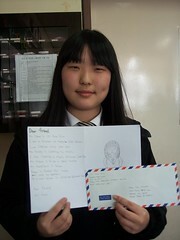 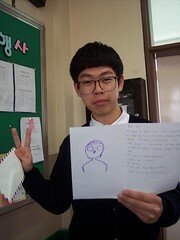 Some of my students with their letters and drawings! 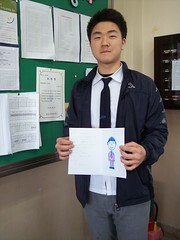 The whole class with Mr. Kang, my amazing co-teacher!